If you are looking for a guide on how to train your dog for the Canine Good Citizen Test, then you must want your pet to become an exemplary role model of how dogs should behave in public. 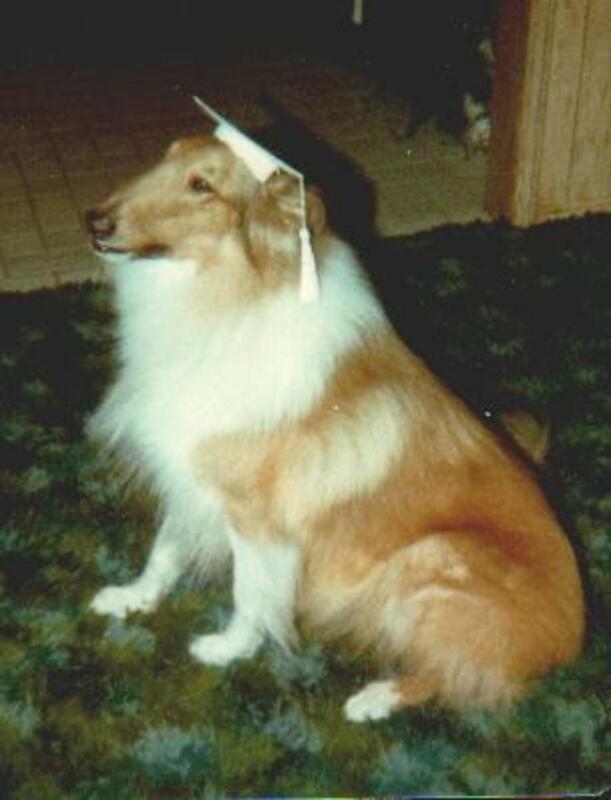 The American Kennel Club Canine Good Citizen's Test started in 1989 with the primary goal of rewarding dogs that are capable of exhibiting great manners both at home and in the community. 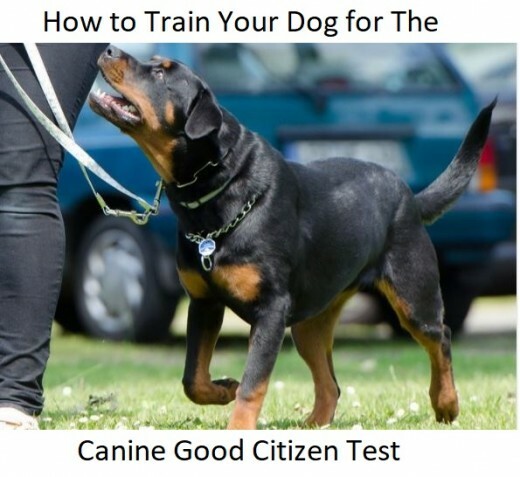 If you want to turn your pet into a great example for society or you are planning to train him to become a therapy dog, the Canine Good Citizen Test (CGC) is a must. 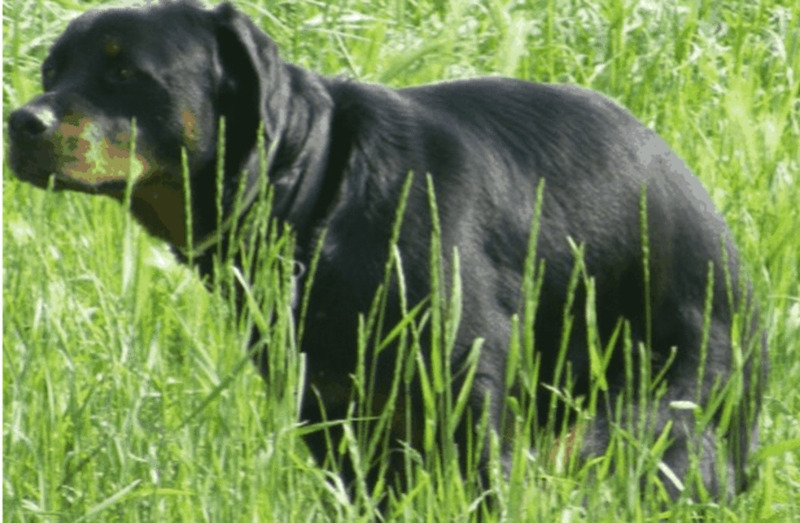 This guide will teach you everything you need to know about how to train your canine for the test so that you can increase his/her chances of passing. A friendly stranger will approach and speak to you as it would happen in a normal everyday scenario. The stranger will ignore your dog and greet you with a hand shake and a verbal "hello." Your dog should remain calm and stay beside you. He should not show any signs of resentment or shyness. Start in a room with few distractions, and have your dog on a leash standing next to you. Then, walk him around the room and slowly come to a stop, making sure that he is beside you the whole time. Tell your dog to sit, and praise and reward him. Repeat this process and ask for a sit every time you stop. Do this several times until your dog can anticipate the command and sit automatically when you stop. Next, start adding duration. This means that your pet will be sitting for longer periods of time. Praise and reward him after waiting for two seconds, then five seconds, then 10 seconds, then 30 seconds, then a full minute, and so forth. (Gradually build duration, but randomly mix in shorter time periods.) You may use a "stay" cue if you want. Next, have a family member enter the room while you're walking. As the family member approaches, stop. Your dog should sit automatically. If he doesn't sit right away, you can cue it by verbally asking him to sit right before you shake hands. Praise and reward him for sitting calmly. Next, invite over a friend and practice the same scenario. Further progress by practicing the same scenario in the yard. Have a small party and invite several friends. Have your dog practice sitting while you shake hands. Do this with all types of friends—seniors, children, women, men, friends wearing hats, etc. During the final training phase, practice on your sidewalk. Then, repeat the same scenario in areas with more distractions, such as a high-traffic walking path, the store, or the park. A friendly stranger will pet your dog while he is sitting or standing calmly beside you. The friendly stranger will pet your dog on his head and body. It's okay to talk to your pet while this happens. Your dog cannot show any signs of shyness or aggression. This means no jumping, no pulling on the leash, no fearful pulling away, no cowering, and no growling. With your dog on the leash, walk around a room at home. Have a friend enter the room. Walk towards your friend and then stop. Your dog should sit calmly next to you. Your friend will pet your dog on the head and body while he is sitting. If your dog is overly friendly, pulls on the leash, or attempts to jump, your friend should abruptly stop the interaction and turn around. Repeat this process several times until your dog understands that his boisterous behavior is making the person leave. When he acts calm and sits nicely, your friend can pet him, and you can praise and reward him with treats. If your pet is fearful or defensive, you will need to work with a professional who can apply desensitization and counterconditioning techniques. A friendly stranger will comb or brush your dog's coat (you will provide the comb or brush), examine the ears, and pick up each front foot. This part of the test is important because these are common actions that most veterinarians, groomers, or pet sitters have to perform. Your dog will be assessed on his appearance (having a well-maintained coat, being of proper weight, etc.) and on his overall behavior (whether he acts healthy and alert). Your dog will not have to hold a particular position during this test, but it helps if he is able to stand still. You can talk to your dog and praise him throughout this part of the test. Your dog should not act out of control, he should not back away fearfully, and you should not have to use excessive restraint. Make it a habit of grooming your dog. Comb or brush him with one hand, and feed him tasty treats with your other hand. Make sure that you stop feeding him treats the very moment you stop combing or brushing. Gently lift each of your dog's paws with one hand, and inspect them while you feed him tasty treats with your other hand. Stop giving the treats the moment you put your dog's foot down. Gently inspect your dog's ears with one hand while you feed him tasty treats with the other hand. Stop giving treats the moment you stop inspecting the ears. Practice with another family member. Then have a friend come over to your house and do the same. You should be feeding him treats while your friend performs the inspection. Now, practice in a more distracting environment (like a park or a pet store). Also, have friends practice "mock visits" where they come over to perform the same inspection. As you continue practicing, try to wean your dog off of treats by offering treats only every now and then rather than continuously. You will walk your dog on a loose leash, but have him right at your side. He should pay attention to you and follow your movements and your changes in direction. You may have to follow a certain course, or the person evaluating may tell you what direction you should walk in. Generally, there will be a right turn, a left turn, and an about turn, with a stop in between each turn and at the end of the test. Your dog should not be pulling or straining at the end of the leash, nor should he be jumping and acting out of control. Your dog doesn't have to be perfectly aligned with you nor does he have to sit when you stop. During this test, you are allowed to praise him, encourage him, and give him commands. Practice walking your dog on a leash as you go back and forth in the hallway. Make an about turn at the end of the hallway, then go left and right into different rooms. Walk in circles around the furniture. Walk at a fast pace, then at a slow one. Every once in a while, stop and ask your dog to sit. This exercise will help him learn to focus on you and your body movement as you shift directions and speed. Move to the yard. Make it a habit of always walking your dog on a loose leash. If the leash is tight, say "heel," and lure your pooch back to your side with a treat in heel position. Hand the treat to him at the level of your knee and resume walking. Make it a rule that a tight leash is your brake and a loose leash is your accelerator. Gradually wean your dog off of treats when giving the "heel" command. Just say "heel," and use a hand gesture. Remember to always reward your dog at the level of your knee (or lower for smaller dogs). Now, move on to a quiet road. Your dog will initially need a lot of feedback, and you might fight yourself repeatedly stopping and bringing him back into heel position so that the leash is dangling in a nice "U" shape. The more you practice, the less you will need to bring your dog back to heel position. Every now and then, make sure to praise and reward your pooch for maintaining heel position with a loose leash. When you feel like your dog is ready, practice in an area with more distractions. 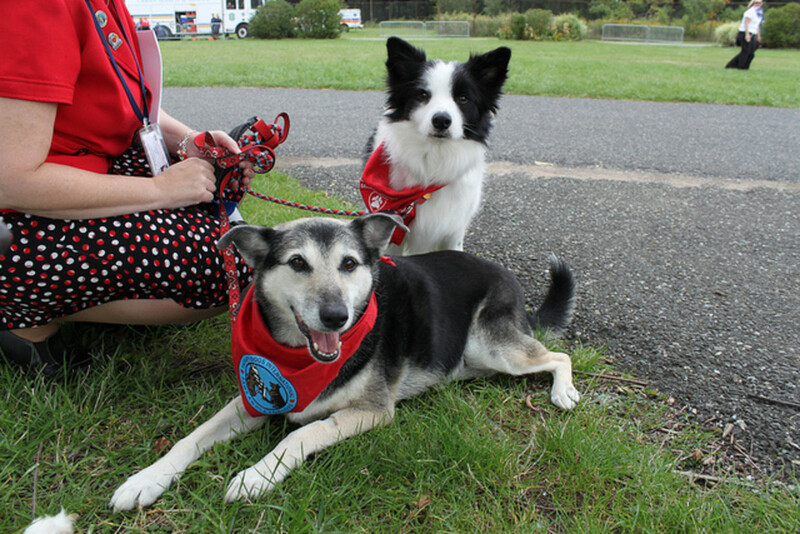 You can also enlist the help of a friend who has a dog so that the four of you can practice walking together. Work on walking in different directions, at different speeds, and in different patterns. Also, try walking on different textures (sand, grass, gravel pavement, etc.). Adding directions will be the hardest part because dogs need a lot of impulse control to be able to walk nicely despite the distraction of other dogs and other people. Practice makes perfect, so the more you practice, the better your dog will get. If you can, practice in cities where there are lots of people and dogs. You will be walking through a crowd of people (made of at least three people). You will be passing by them and walking around them. The evaluation will assess your dog's ability to stay calm and walk besides you. Your dog can show some interest in the people but shouldn't be boisterous or appear fearful or aggressive. There should be no jumping or pulling on the leash. It's okay to praise your dog as you walk through. Go on a trip to a place where people gather, such as the park or the farmer's market. Arm yourself with high-value treats (freeze-dried liver, roasted chicken, etc.) and poop bags. Practice walking your dog on a loose leash. Always check if muzzles are required where you are practicing. Try to identify whether there is anything that distracts your pooch. Some dogs have a hard time when exposed to people with umbrellas, people with hats, children, or baby strollers. At first, approach these distracting stimuli from a distance so that your dog is under threshold, and feed him high-value treats as you walk past them. Walk by these stimuli several times, and gradually decrease the distance between your dog and the stimuli each time. You want him to get so used to the distractions that walking through a crowd becomes boring. Test 6: "Sit and Down" on Command and "Staying in Place"
Your dog's leash will be replaced with a 20 foot long line. You will be asked to command your dog to sit, lie down, and stay on cue. Your dog must sit and lie down without the use of force (pushing rump). You may, however, touch your dog to provide gentle guidance. You will be asked to walk to the end of the line and walk back to your dog. Your dog must stay in place until the evaluator tells you that you can release your dog from the front or the side. Training your dog to stay simply means that you will be adding duration to your dog's "sit" and "lie down" time. In order to increase duration, you will have to delay your verbal marker or click of the clicker. Ask your dog to sit or lie down, and count in your head for a few seconds before you say "yes" or click your clicker. Then, reward him with a tasty treat. Increase the duration as you progress, but make sure you do so gradually. Drop back to easier intervals every now and then, so it's not too difficult for your pet. For example, if you are working on 10 seconds, then do eight, then five, then two, then six, etc. If your dog has a hard time maintaining the position, you may have gone too fast in the process or there are too many distractions. Every time you start a new training session, lower the level down from where you last left off. Some owners like to use the verbal cue "stay" with an open hand gesture to keep the dog in place, while others simply build duration to their "sits" and "downs" and release the dog with a release command, such as "done!" or the infamous "OK."
To ace this exercise, start by having your dog stay in position next to you. Then, take one step forward and put yourself in front of your dog. Say the word ''stay." Keep your open hand in front of your dog just like a crossing guard would do to stop traffic. Then, go back to your original position next to the dog, praise him, and give him a food reward. Gradually build up distance by mixing in closer and farther stays. Video of "Sit and Down" on Command and "Staying in Place"
What Happens: You will walk 10 feet away from your dog (you can say "stay" or "wait", or don't say anything if you have built duration without a verbal cue). Then, turn to face you dog and call him to you. Your dog should maintain the stay position until he is called. Once called, he should come promptly to you and ignore any distractions around him. You can use encouragement to get him to come to you. Coming when called requires some time to train because distractions are hard to ignore. One mistake people often make when calling their dog is not making themselves more interesting than the things that are distracting their dog. When you call your pet, you should be the most interesting thing around. You should start the training by feeding your pet 10 small treats in a row the moment he comes to you so that reward has a big impact on him. Call your dog in a happy voice, bend down, or walk backwards to attract his attention the first few times. We want to train the dog to look forward to being called. Make his name music to his ears. Call him for his meals or to provide him new toys. Call him to go out on walks or to do something he loves doing. You and your dog and another owner with his/her dog will stand 20 feet apart. Then, you will meet each other midway, stop, shake hands, and then continue walking for another 10 feet. Your dog must act calm and show no more than casual interest. He must not be aroused or out of control. Your dog is not allowed to greet the other dog or his/her handler. This is one of the most difficult parts of the test. Many dogs are compelled to play with the other dog, while some may act aggressively towards another canine. Practice makes perfect. Schedule some training with other friends who have dogs and practice meeting them. If your dog is dog reactive, consult a professional. If your pet pulls on the leash to reach the other pet or the handler, make an abrupt turn and try again until your pet is under better control. At first, it's okay to distract your dog with some treats and just practice walking past the other dog/owner until you can gain better control. Once your dog is under better control, add the brief stop and the handshake element. Your dog will be exposed to two distractions that may commonly happen in everyday situations in public places. Your dog's reaction will be evaluated. Distractions may include dropping a chair or a cane, opening an umbrella, or having a jogger run by. This test will determine how your dog reacts to distractions and his recovery time. It's important that your dog appears confident rather than apprehensive. It's okay for your dog to show natural interest or curiosity. A slight startle is fine too as long as your dog doesn't panic, attempt to run away, bark, or act aggressively. You may talk to your dog to provide encouragement during this exercise. It is best to get your dog used to strong distractions by taking him to the city and exposing him to things being dropped. You will have to get creative here, and prepare as best as you can because you do not know exactly what distractions your dog will be exposed to during the test. To help your pet in this part of the training, you can have a helper create the distractions, and you can feed your pet tasty morsels every time he's exposed to the distraction. If he seems startled, then you may be progressing too fast. Expose him to a less intense version by increasing distance and making the distraction less salient. If you are consistent and expose him gradually, then he will learn to embrace distractions without any major startling. The evaluator takes the leash and you will leave and be out of sight for three minutes. Your dog should be able to cope with your absence. This can be a problem for dogs that suffer from separation anxiety. Your pet must be under control and show good manners during your absence. There should be no pacing, continuous barking, or whining. Your dog shouldn't show anything stronger than mild agitation or nervousness. It's not necessary for your dog to stay in a specific position (sit or down) during this part of the test. To have your dog get used to being away from you for short periods of time, practice leaving him with someone else and gradually increase the duration of your absence each time. Practice with some helpers (initially with people your dog knows). Then, progress to people he does not know. Increase the time of the test incrementally until you can reach three minutes. Remember to mix in some briefer absences. For example, leave for 20 seconds, then for one minute, then for 50 seconds, and then for two minutes, etc. If your dog is anxious, then you may be moving too fast. When starting out, it's okay for the person holding your dog to feed treats as you build duration. Practice is the secret to passing the CGC test. While you can use treats or toys as rewards for training, you cannot use them during the actual test. During the test, you can only use encouragement and praise. If you rely on treats or toys during the training phase, try to gradually wean your pet off by moving from a continuous schedule of reinforcement (one treat for every good behavior) to an intermittent one (treats given every now and then). On test day, make sure your dog is well groomed and wearing a good-fitting buckle or slip collar that is made of leather, fabric, or chain. 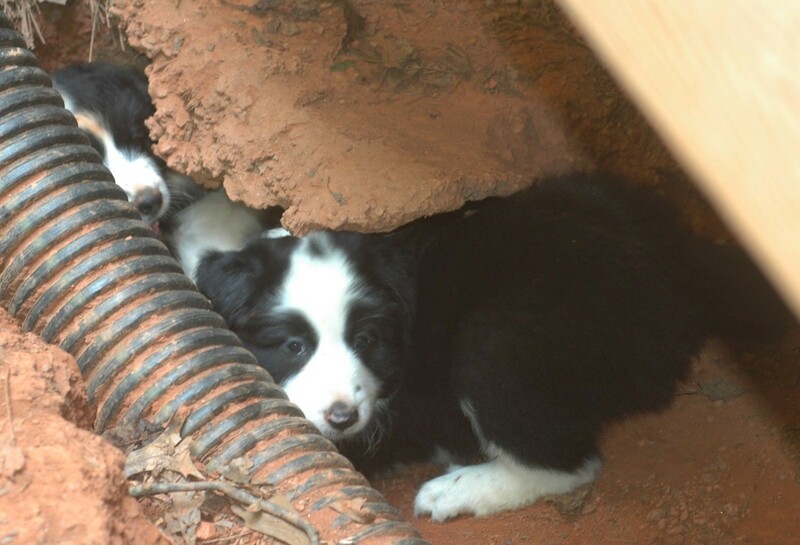 Pinch collars, head halters, and shock collars are not permitted. Some types of harnesses are okay to use as long as they're not the type meant to prevent jumping or that restrict movement. Don't forget to bring your dog's brush/comb, and try to stay calm to prevent your pet from feeling your tense energy. Last but not least, make sure your dog eliminates before the test. Any dog who eliminates during the test is disqualified. Upon passing, you will be issued the Canine Good Citizen Certification. You will be so proud of your canine pal for being an exemplary model of how dogs can be well behaved when they are well trained!